Great work! Really like it!!! Can I translate it to portuguese? Please, all credits will be given to you (off course!). If you like this, you'll love Urasawa's "Monster" or Tezuka's "Black Jack." As artists, they are far superior to me in every way; I would not dream of comparing myself to them. This game is a great sucess here in Brazil. Briliant! The explaination of Yandere's motive and plan was beyond anything I've read before! Best Manga ever! 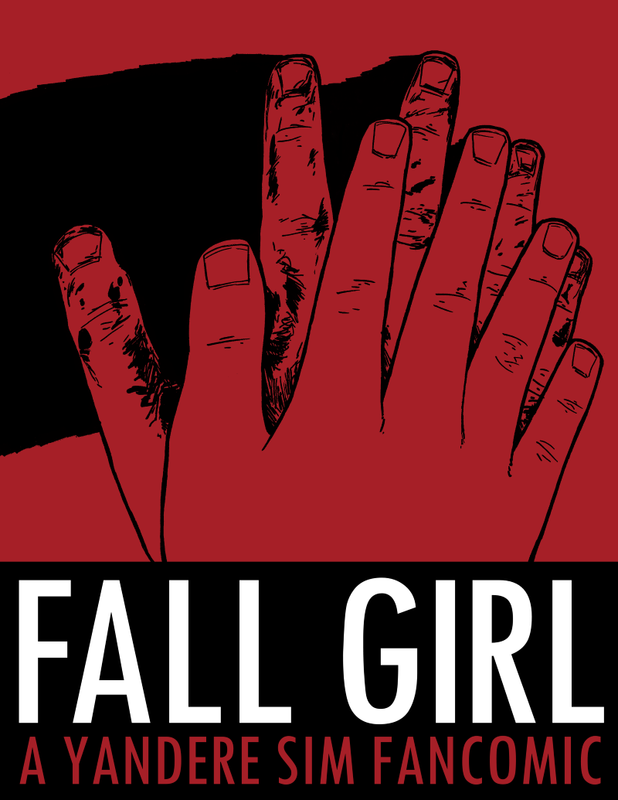 Hello, this is Toasternoodle from the youtube channel that we use to create dubs of comics, and I took an interest in the comic, Fall Girl. I would like to dub it, but we need your permission first. I am unsure whether or not you ever respond or read through comics, but a reply would be VERY much appreciated! We would credit you of course, and we would only be doing a voice over. Thank you for taking your time to read this! I loved everything about this comic. At first I was confused by the cover, but reading it helped me understand it more. Yandere Dev should have an update where you don't use a mindslave, but trick someone into avenging their friend! have you make a French translation?